During the panel, Peterson brought up several big topics, including the challenges posed by rebates and pricing pressures. Additionally, there was great emphasis throughout the conference on the site of care. Now, for biosimilars like Humira and Enbrel that will (someday) be distributed at the pharmacy level, distribution and reimbursement may be a bit more clear-cut (if that’s even possible in this whacky industry). But currently, all biosimilars on the market — and many more forthcoming — are distributed at the hospital or clinic. Not only is it critical to understand the ins and outs of each site of care from an administration and formulary perspective, we also need to be aware of just how often site of care is being leveraged by payers and employers alike to lower overall treatment costs. Given the emphasis on reimbursement changes under the medical benefit at the CBI conference, I reached out to Peterson for a “crash course” on the basics behind each of the most popular sites of care for biologics and their biosimilars. I also was interested to learn more about the pharmacist’s perspective on how manufacturers can better consider the site of care in the life cycle management of their biosimilars. When it comes to biologics and biosimilars treatment, there are several sites of care we typically hear about: inpatient, outpatient, and home administration. Though these may seem self-explanatory, I think it’s worthwhile to go back to the basics to understand what they may mean from formulary and overall cost standpoints. Peterson and I started our discussion by defining the inpatient setting, in which a patient is admitted to the hospital for a treatment and remains over the course of several days and nights. For certain illnesses and/or patients with the potential to encounter severe side effects, the hospital may be considered the best site of care from both clinical and cost standpoints, as it could quickly address any health emergencies arising from treatment. From a reimbursement standpoint, the bill for an inpatient stay will look much different than that of an outpatient infusion center. For instance, the bill will be bundled, meaning the payer will be charged a standard base fee for the patient’s hospitalization, as opposed to being charged for each individual service provided during the hospital stay (e.g., nursing services, tests, and the per diem cost of a hospital stay). Regardless of the severity of a patient’s condition or the intensity of the treatment protocol, the hospital will be reimbursed at the mean cost calculated for treating that patient’s particular diagnosis. However, it becomes more complicated when we consider the outpatient setting. As you may be able to deduce from the name, a patient receives a treatment over the course of a few hours in one of several different locations, including an outpatient infusion center, a provider’s office, a clinic, or via home infusion. From treatment selection and reimbursement standpoints, however, the medicine received at an outpatient facility will be determined by a patient’s healthcare plan. In order to treat patients from around the region at its outpatient facilities, that health system is responsible for stocking all the biosimilars and branded products. This ensures the IDN will be properly reimbursed by each patients’ health plan for administering the treatment listed on the payer’s formulary. Finally, we can’t overlook the possibility of patients receiving their treatments from the comfort of their own homes. 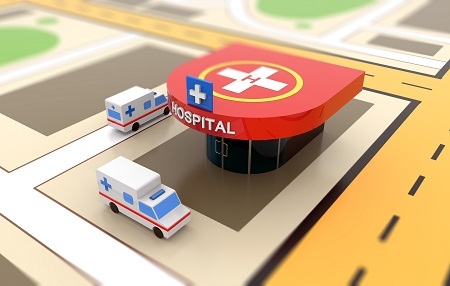 In this age where patient centricity continues to gain buzz, this has become a possible site of care for patients who may face difficulties getting to a clinic. Of course, as Peterson qualified, before a product can be distributed to patients at the home, a great deal of due diligence that must be exercised by the payer or IDN in terms of vendor selection and patient education. So, What’s The Big Deal With Site Of Care? The site of care is typically evaluated to determine “how the costs of providing the product and service at an outpatient infusion center compare to a clinic or home infusion,” Peterson emphasized. There could be additional fees that are unique to a specific clinic or facility, and this will vary depending on the marketplace and geographic location. For example, a payer will have to consider the average cost in the region for a traveling nurse versus for the administration of an infusion at a clinic with its own additional services and fees. In fact, payers (and employers with their health plans) can specify where and how patients receive their treatments — though this is typically done on a product-specific basis. “Payers have done a good job of carrying out due diligence to ensure that, if they’re going to propose a change, it makes sense and is safe and appropriate,” he added. Could There Be Greater Formulary Unity Between Health Systems, Payers? Given the success IDNs have had with biosimilars thus far, I was particularly curious to hear Peterson’s thoughts on whether an IDN’s best biosimilar practices could have any impact on regional payers. After all, as we discussed above, while an IDN may have biosimilars on its inpatient formulary, patients entering an outpatient clinic will rely on their own individual health plan formularies — which may or may not prefer biosimilars. We talk so often about sharing best practices; I couldn’t help but wonder if sharing a health system’s biosimilar savings and successes with regional payers would, in turn, open the door to greater biosimilar usage from commercial payers over time. Bridging The Innovation Gap Using Site Of Care: Can It Be Done? A common topic of discussion these days is how biosimilars will fare against originators whose market shares have been shifting to new formulations — for instance, Amgen’s Neulasta OnPro device or subcutaneous Rituxan and Herceptin. In the Neulasta biosimilar space thus far, neither Coherus nor Mylan have confirmed they will explore additional formulations to bridge the “innovation gap” between the biosimilar and the originator. Peterson acknowledged these innovative formulations could pose challenges for biosimilars as they enter the marketplace. After all, not only are some of these innovations more convenient and patient-friendly, but in certain instances, it may be more convenient and potentially cheaper to administer a product at a different site of care. Overall, Peterson expects that bringing a product to market that can be administered at home or with the help of an infusion nurse could be a valuable pursuit for biosimilar manufacturers in the long run. However, as he also pointed out, nothing is truly clear-cut. For instance, payers and health systems will also have to consider whether it’s cheaper for the patient to return to the hospital to receive a biosimilar with a lower list price as opposed to using a newer, higher list price originator product that boasts added convenience. “As a specialty pharmacy, whose mission is focused on patient care and innovation, we have been having a lot of out-of-the-box conversations, and we are actively working to determine ways to level the biosimilar-biologic playing field,” Peterson shared.